We have already heard that the BlackBerry PlayBook may run Android apps, but now we have it from a far more reliable source - during an MWC demo of the tablet, a RIM representative mentioned that "we will also support Android apps". The fact this information is coming straight from someone at the Canadian company is refreshing in itself, and proves it's most likely true. 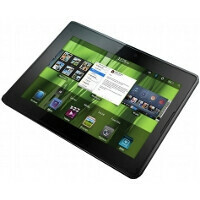 It is anticipated that the tablet will be launched in March this year, and Verizon will be one of its US carriers. You can watch the above-mentioned MWC video demonstration below. If I were them, I wouldn't waste money trying to make their own sdk either. It's more efficient to use another than to build yours from ground up and end up losing due in competition. Would a lawyer buy a house or would they try to build their own? Good RIM then support the whole Android OS next and you're be back in the game!